Alaska Bible Seminary is located on the tundra of southwestern Alaska at Bethel on the property of the Alaska Moravian Province and the Bethel Moravian Church. 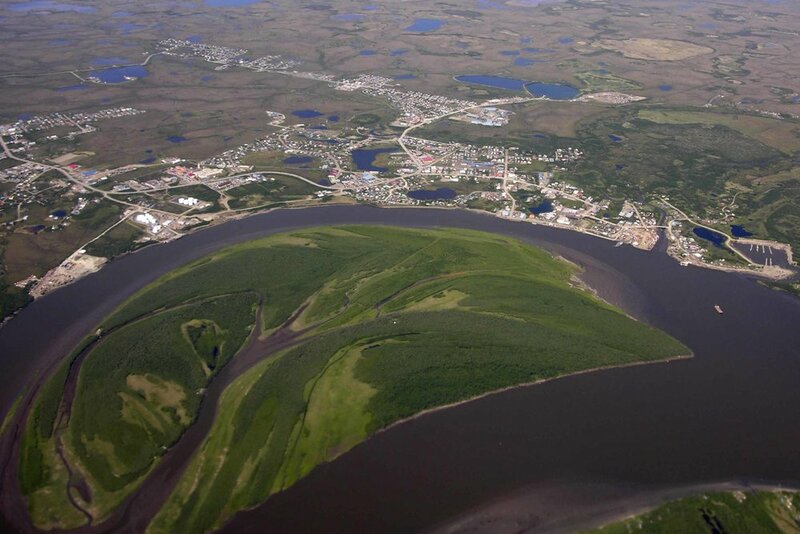 Bethel is about 80 miles by river from the mouth of the Kuskokwim River and 400 air miles west of Anchorage. This means we are 400 air miles from the nearest connection with the North American road system. Despite our remote location, we are only a one-hour jet flight from Anchorage. There are frequent flights to and from Anchorage as well as the villages in the Yukon Kuskokwim River delta. There are about 26 miles of roads in Bethel most of which are gravel. In the winter, the ice road on the Kuskokwim can exceed 100 miles. There are stores and restaurants within easy walking distance of the seminary. So are the hospital and library. Several cab companies and city buses are available for longer trips. Bethel has a population of about 6,000. It is the medical, transportation, supply, education and judicial hub for the more than 50 villages in the Yukon-Kuskokwim river delta. Most of the villages have several flights a day to and from Bethel year round. Charter service is also available. The climate is sub-arctic. The mean summer temperature is 53 degrees with highs reaching into the 70’s. The mean winter temperature is 11 degrees. The summer growing season is a full three months. The University of Alaska, Fairbanks, has a branch campus in Bethel. It shares a library with the community and is accessible to ABS students. Our location in the heart of a vast, remote, subsistence culture, yet with easy access to the outside world and full public services, as well as our full commitment to the Bible, make Alaska Bible Seminary the ideal place to train for conservative Christian ministry in the remote Alaska.